An island that has recently appeared in the middle of the Sea of Galilee (Kinneret) is a cause of ecologic alarm, but, more importantly, it is also a sign mentioned explicitly in the Talmud as presaging the coming of the Messiah from the House of David. The sudden appearance of the island is not entirely unusual or unexpected. It frequently appears in particularly dry seasons when the level of the Sea of Galilee drops significantly, and to be sure, this year is exceptionally arid. Since summer’s beginning, the water level in the Kinneret has gone down by 40 inches, a worrying 14.76 inches below the lowest red line, the Jewish Press reported. The drying up of the Kinneret has clear Messianic implications. The Talmud (Sanhedrin 97a) discusses the signs that will appear just prior to the coming of “the Son of David” (the Messiah from the House of King David). Rabbi Yehuda, a Talmudic sage, states that one of the signs presaging the Messiah will be that the Sea of Galilee and Gablan, the upper Jordan River in the Golan, will become desolate and destroyed (“khorban” in Hebrew). This Talmudic prophecy is consistent with the verse in Isaiah, which uses the same word, khorban, to describe rivers drying up in the days of the Messiah. The year began with the sea at the lowest level since 1926. As it stands today, 38 feet shy of being full, the Sea of Galilee has never before been so close to fulfilling this prophecy. The Zohar, the foundational work of Jewish mysticism, cites the Galilee as the place in which the beginnings of the Messiah can first be seen. When considered alongside a prophecy in Zechariah which states that in the times of the Messiah water will flow from Jerusalem, it is clear that great changes are coming. The big picture created by these different prophecies demonstrate how drastically the Messianic process will alter the land. Jerusalem, a dry mountaintop city, will become a source of flowing water while the Galilee and Jordan, perennial sources of Israel’s water, will become desolate and dry. In yet another turnaround, the Dead Sea will fill up with life in the days of the Messiah. Rabbi Yosef Berger, the rabbi of David’s Tomb in Jerusalem, explained that we should understand the destruction of the Galilee as the drought that is occurring right now. 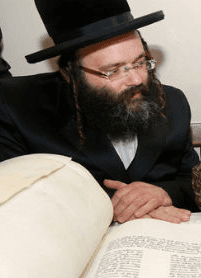 “That section of the Talmud is full of signs that indicate the coming of the Messiah, and every single one of them is undeniably coming true,” Rabbi Berger explained. He referred to a core Jewish tenant: the idea that man can alter decreed Heavenly events with prayer and understanding. 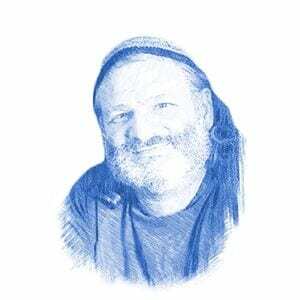 “By virtue of interpreting a prophecy a certain way, people can influence the way in which Heaven chooses to bring it into the world,” Rabbi Berger told Breaking Israel News. The rabbi explained how this applied to the present situation. “By learning that our present drought condition in the Galilee is what the prophecy called ‘destruction’ (khorban), our interpretation of the destruction of the Galilee can influence, even change, what was originally intended,” he said.